The men’s teams of Scotland and England are now in the quarter finals of the Championship. England was able to achieve this position when they ran over Samoa with a score of 19-15 at the AT&T Park. Now England would be facing USA in the last eight matches coming up. 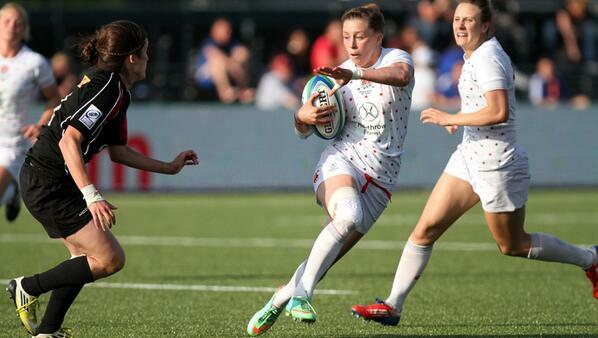 Among the round up of women’s rugby for the country, the best players of the Women’s Rugby World Cup who were present in the team last August are also involved in the seven series. However the team obtained the biggest blow from their opponents in the opening match in San Francisco. The vice captain of the team stated that they were feeling gutted as they lost out in the first game. The result is a major disappointment for the Rugby Football Union and England. It remains to be seen how the women’s team gears up for the forthcoming matches. There are several other matches that are scheduled for the team and it remains to be seen how the team carries out their games, especially in the international season that starts this summer.